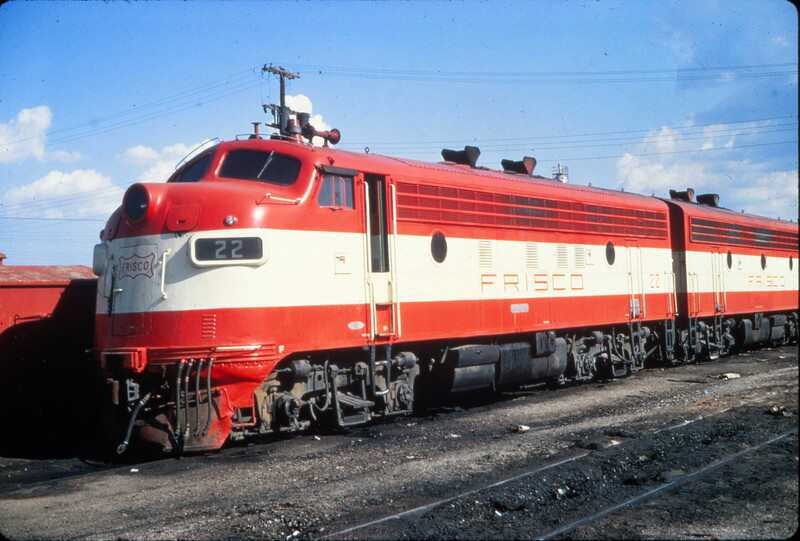 GP35 706 at Tulsa, Oklahoma (date unknown) (Harry Stegmaier). GP35 710 and U30B 836 at Sapulpa, Oklahoma in April 1973 (John Nixon). The third unit is unidentified and the fourth unit appears to be GP35 732. 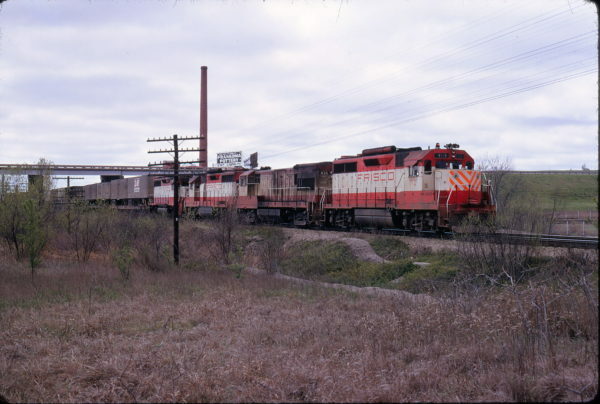 Note also the Frankoma Pottery billboard. 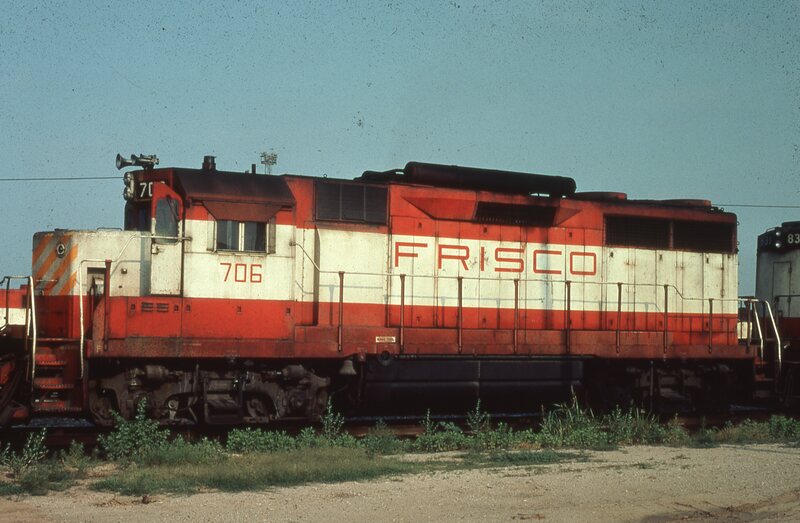 These were long a familiar sight in Frisco-country. 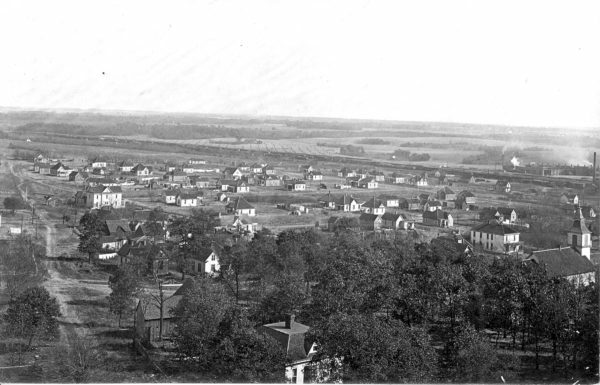 Monett, Missouri – Roundhouse to the right (Circa 1909). 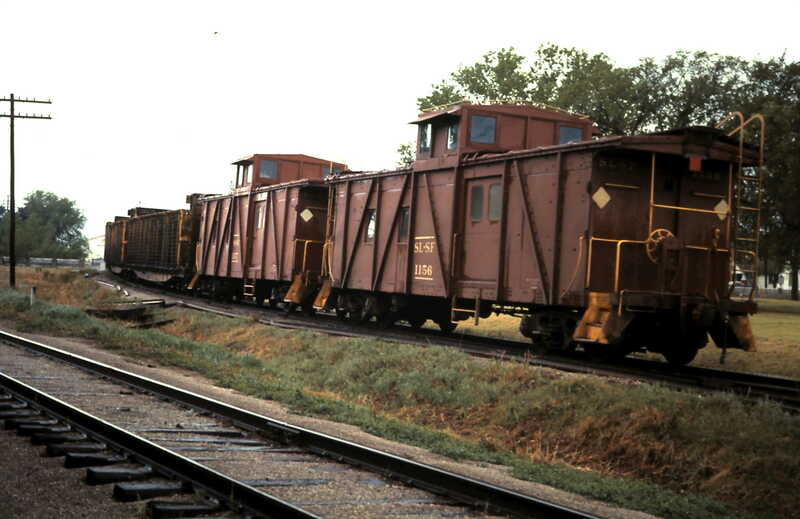 Caboose 11584 (Frisco 1256) at North Platte, Nebraska on June 18, 1981. 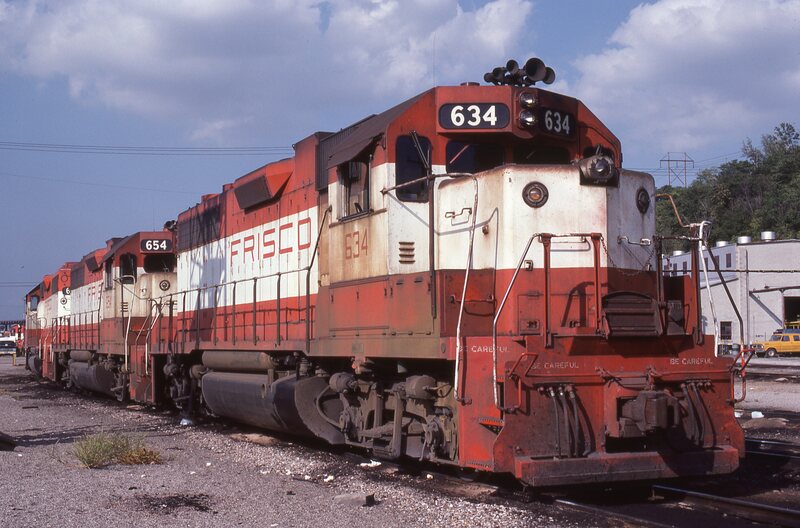 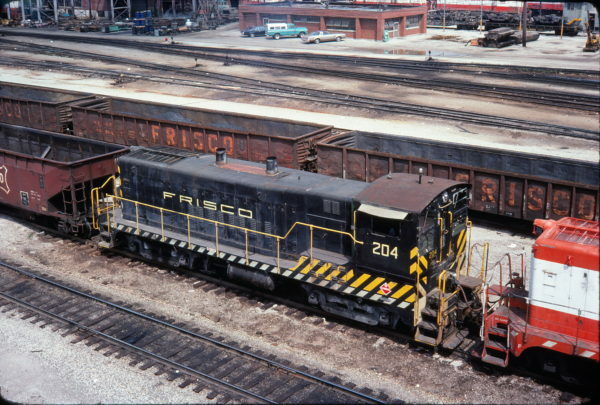 F7A 22 (5022) at Tulsa, Oklahoma in June 1970 (Vernon Ryder). 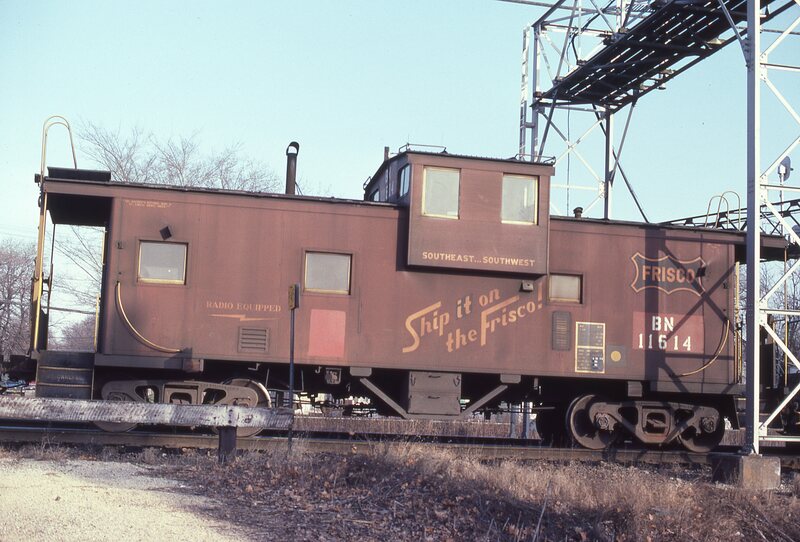 Outside Braced Caboose 1156 (date and location unknown). VO-1000 204 at Springfield, Missouri in August 1977. 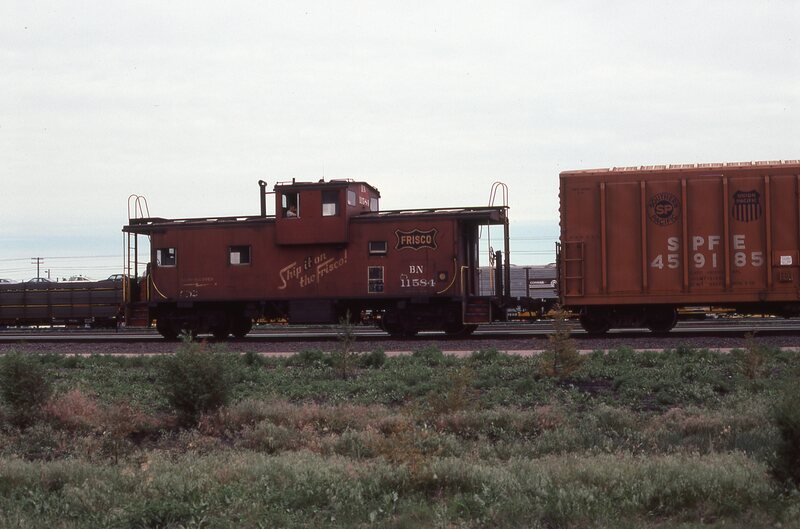 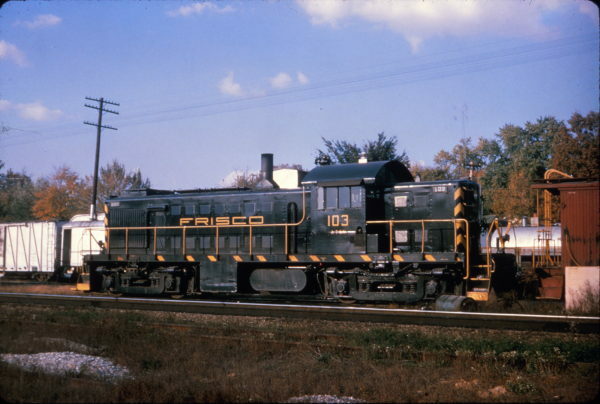 Caboose 11614 (Frisco 1286) at Minneapolis, Minnesota in January 1983 (Don Reck). RS-1 103 at Willow Springs, Missouri on October 18, 1965 (Al Chione).